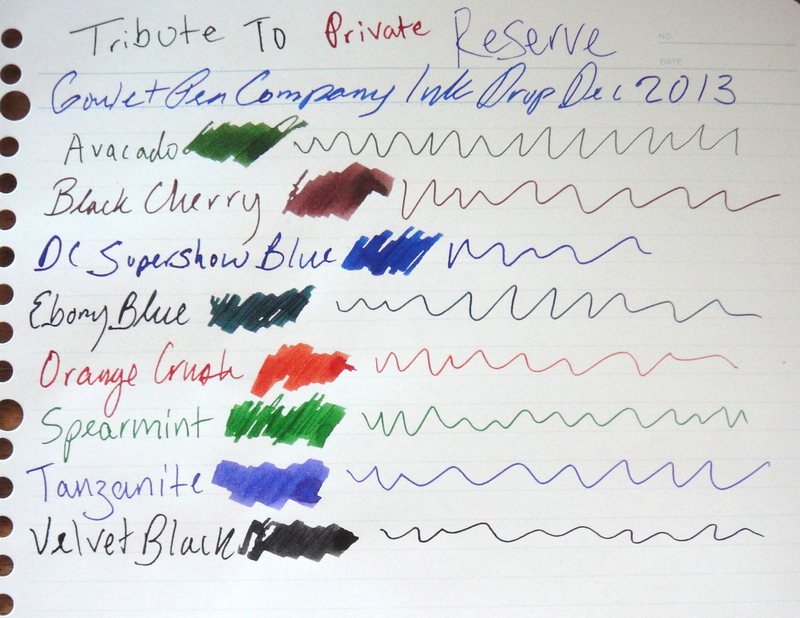 This month’s Goulet Pen Company Ink drop is a tribute to the creator of Private Reserve Ink, Terry Johnson. This shipment contained eight inks from the same manufacturer instead of the usual five from various manufacturers. My favorites this month are DC Supershow Blue and the Ebony Blue. All of these inks have a lot of saturation. The Ebony Blue is the most unique; it is a blue black with a bit of turquoise in it.